Spotted! Olympus XZ-2 Mirrorless Cam On Sale, From 24995 To 9995! Home / cameras / news / olympus / Spotted! Olympus XZ-2 Mirrorless Cam On Sale, From 24995 To 9995! Recently, while we're doing our usual SM Cyberzone strolling we found this interesting deal. 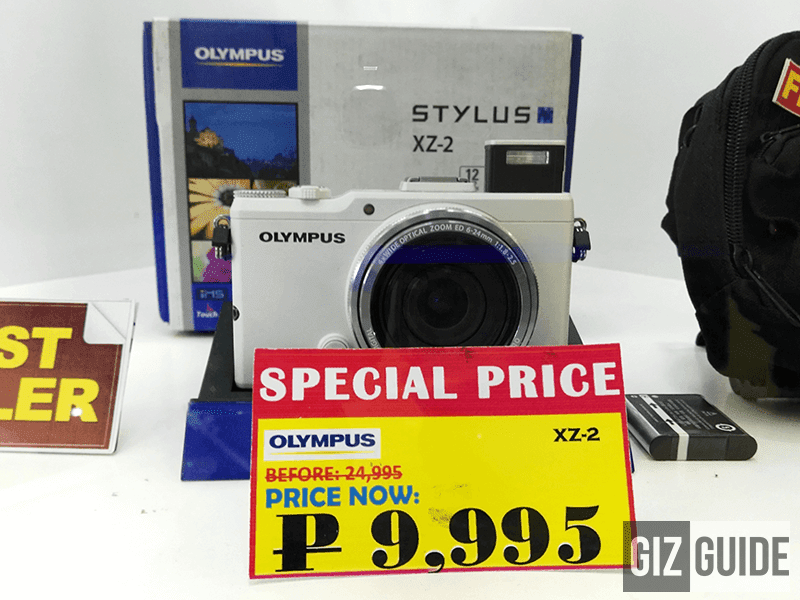 We spotted the Olympus XZ-2 mirrorless camera on a great sale, from the usual local SRP of 24,995 it's down to just 9,995 Pesos. First released in 2012, this camera by Olympus is a compact point and shoot photography goodness with classic body and design. It offers an impressive f/1.8 lens with 11 art filters and 5 effects at 12 MP. The sensor size is also pretty large at 1/1.7 inch that can capture images in RAW, JPEG in manual controls and record videos in Full HD quality. It also has a touch screen view finder. Overall, it's one of the nicest cameras before that might be still good even up to this day. The sale was understandable as this camera is a dated on already. However, if you want to own a decent mirrorless camera and take great photos, I think that this is a nice buy if you don't really have the budget to get the newer gen Fuji Mirrorless cameras.